My interest and discovery into art began in Philadelphia, PA at an early age. 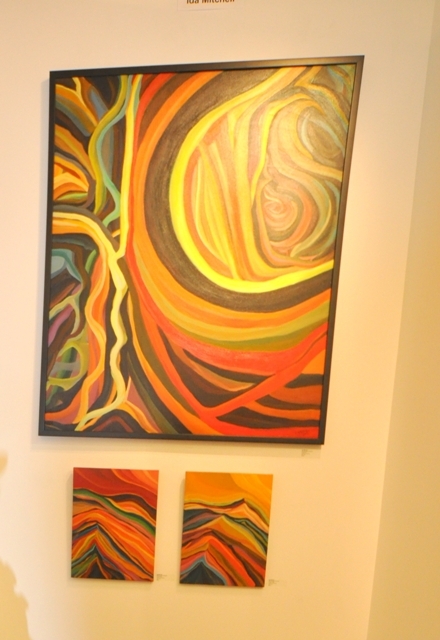 The current works of art are a blend of contemporary and abstract images using mixed acrylic paints on canvas. I still continue to research and explore paper, canvas and other materials in combining of paint and color. My history in Washington DC has been as an independent business owner and fine artist. It is in the last 5 years that I have returned to fine arts on a regular basis. I participated and sold work in several regional venues, group exhibits and festivals; Group exhibit - :Colors 2014, Brooklyn NY, Solo exhibit at the Gallery at Huntington Community Center in Bowie, MD, Touchstone Gallery Mini-solo 2012, Arts on N Street , Hyattsville�s Arts festival, Eastern Market and the pop-up market in Georgetown DC . Current resident of Washington DC and a member of MD State Art Council (MSAC) and listed with Hyattsville Artist registry.